No plans for the weekend? 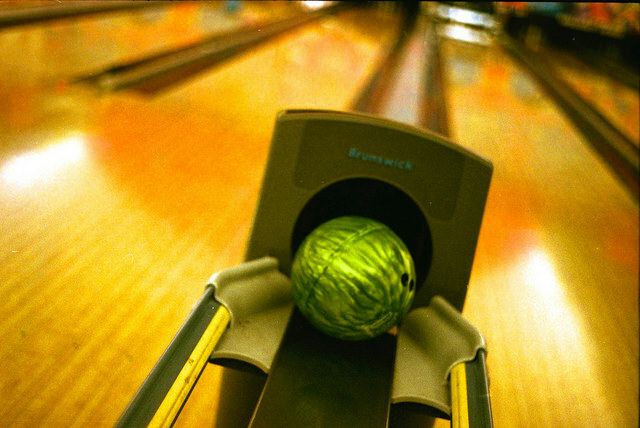 Lace up your bowling shoes and head to South Bowl! Located at Front Street and Oregon Avenue, this bi-level venue—the sibling facility of North Bowl in Northern Liberties—is home to 26 bowling lanes, two bars, arcade games, billiards tables, and a roofdeck. What's more, local music acts regularly take the stage to provide live music for guests of the bar and bowling lanes. For the best deals, be sure to stop by South Bowl during happy hour, which is held 4 p.m. to 6 p.m. and 10 p.m. to midnight Mondays through Thursdays and 4 to 6 p.m. on Fridays. You'll score discounts on tater tots, select beers, and pizza! Note that South Bowl is only open to those over the age of 21 after 9 p.m. In addition to being a great spot for a drop-in bowling game, South Bowl is a popular spot for private parties. Lanes and private bowling areas are available for corporate events, birthday parties, anniversaries, fundraisers, and more.